Contact the VA to inquire about a referral to the Safe Haven Program. In 2017 Benilde Hall served 186 homeless veterans with housing, mental health treatment, substance abuse treatment, jobs program, health education, food, clothing, case management, and an opportunity to reconnect to the community. 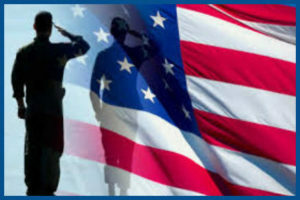 Safe Haven veterans’ housing offers a low-stress, low demand environment for homeless veterans of U.S. military service. Centrally located in Kansas City, Safe Haven can often provide immediate housing for women and men who qualify for VA housing referrals. Imagine coming back from a war as a United States Veteran and not being able to afford a home! With the end of the war in Iraq and the involvement in Afghanistan winding down, the United States can expect to see about 100,000 veterans return home. Many will need help and support from safety net programs or job training to transition to civilian life, but that help isn’t guaranteed to be there. Nearly one in seven homeless adults are veterans, as of December 2017. According to Iraq and Afghanistan Veterans of America, a 2007 survey more than half of all veterans were unsure of how to professionally network, and nearly three in four felt unprepared to negotiate salary and benefits and/or unable to effectively translate military skills. 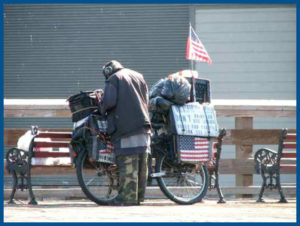 More than 968,000 of veterans ages 18 to 64 had been in poverty in the past year in 2010.